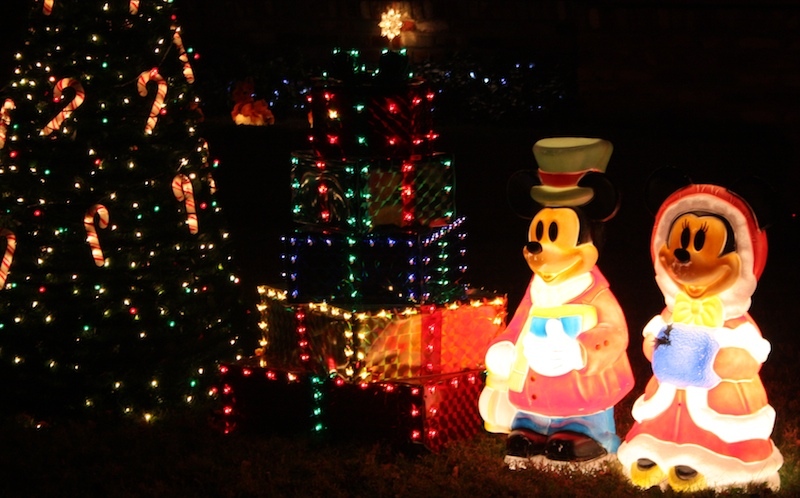 So when we got home, I was filled with a bit of the Christmas spirit. Sunday we are getting together with some friends for Christmas goodies so I decided to make a couple of things. 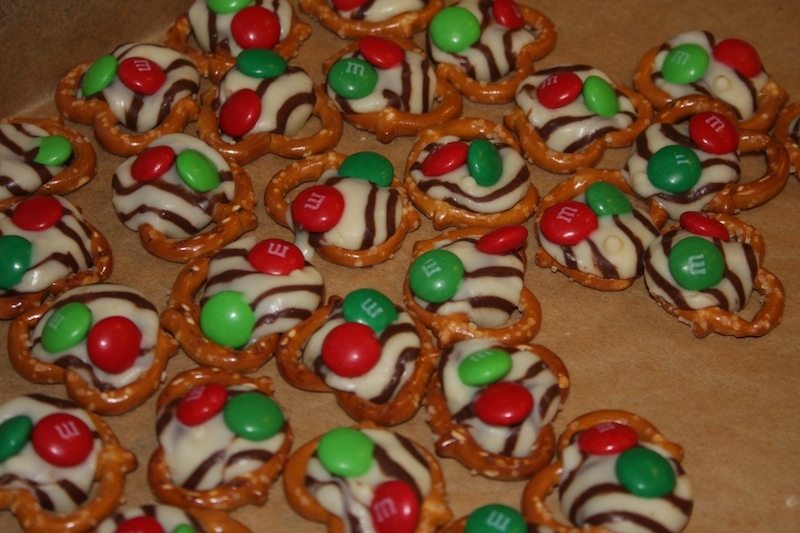 Here are my standard Pretzel Kisses. This year I decided to make them out of Hershey Hugs instead of Kisses. I think they are prettier in the Hugs. And I don't typically like white chocolate, so I won't eat any of them. Bonus. After removing the white bark from packaging, divide each cube into smaller cubes for easier melting. Melt bark in a micro proof container for 3 - 3 1/2 minutes, stirring every 30 seconds. Dump 2 cups rice krispies and stir till well mixed. 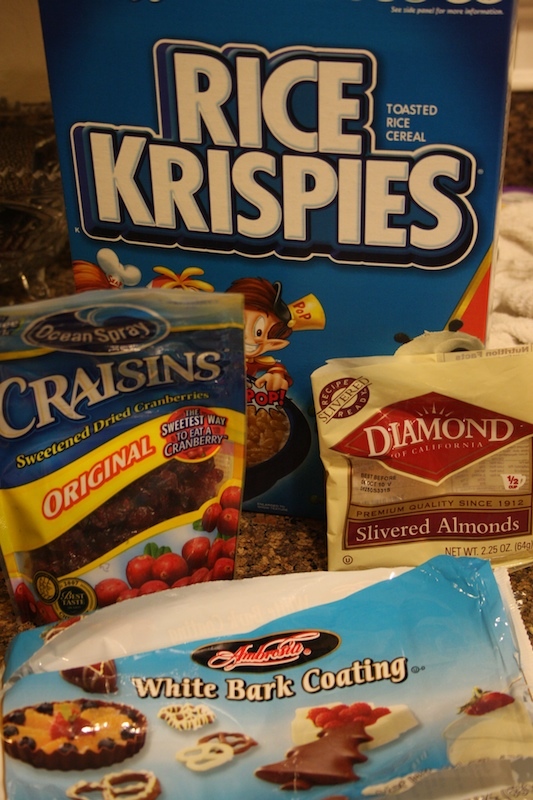 Combine cranberries and almonds. 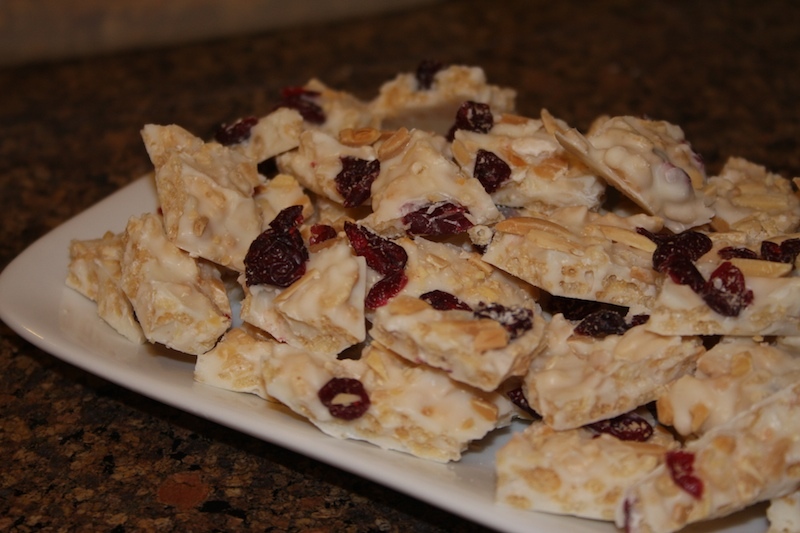 Dump 1/2 of the cranberry almond mixture into white chocolate and stir till well mixed. Using parchment paper and a cookie sheet, dump the mixture on parchment paper and spread out as thin as you want. 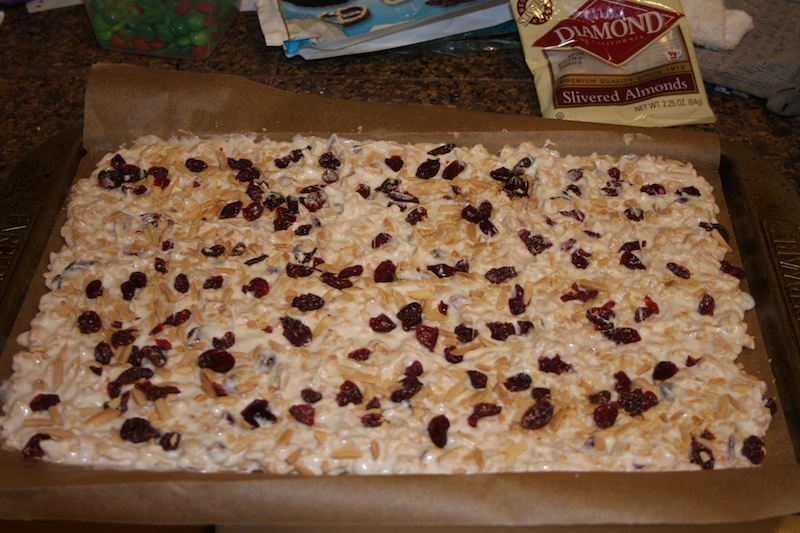 Add remaining cranberry/almond mix to the top and press into the bark with spatula or parchment paper. Refridgerate till solid, 30mins or so. These taste a lot better than I expected. But they are rich, because of the white chocolate I suspect, so the good thing is I have no desire to eat more than a couple pieces. I think the almonds and the crunchy rice cereal makes it so yummy. I've got at least one more thing to make tonight. Now that recipe, Chocolate Chip Toffee Bars, I have to be very careful not to eat the entire pan of. And it's one of those sweet treats that is so bad for you, you almost don't want to know whats in them. however, I'll share the recipe here, too. I only make these at Christmas time, and usually only every other Christmas. Happy Baking! Looks like a good treat! I am so impressed. These all look so yummy! My goodness Madretz, you have been a busy little baker. They all look so good. THAT looks just scrumptious, Mad. I could really get into that recipe. Hmmmmmmm.